21st Century LaserSTEM Regenerative Medicine Institute is excited to offer stem cells harvested from human umbilical membrane, cord tissue, and cord blood creating what is know as the “TRIPLE THREAT” of stem cell therapy. The labs scientists have 12 years of experience processing perinatal birth tissue products into therapeutic agents. Founded by two PhDs with decades of combined experience and its founding philosophy was to bring innovation and value to stem cell based medicine with an impeccable safety record and exceptional treatment benefit track record. The lab is registered with the FDA and maintains compliance with Human Cells, Tissues, Cellular and Tissue-Based Product (HCT/P) regulations. The company prides itself on its state-of-the-art technology and its ability to provide products of the highest standards in the industry. Thousands served without a single adverse reactions. There is no expansion or cell culturing taking place. Mother goes through testing that is compliant with FDA regulations. Only healthy C-Section placentas are used from qualified mothers who meet stringent qualifications. The tissue is tested before and after processing to ensure compliance to FDA regulations and there are zero chronic tissue antigens. Stem Cells are delivered as a ready to use flowable allograft tissue for precise delivery to the treatment site injections. Studies are being done for Scaffolding done for more growth factors and cell yield specifically for an IV push. WHY IS CORD TISSUE BETTER THAN ADULT STEM CELLS? Cord tissue mesenchymal stem cells have a shorter doubling time than adult mesenchymal stem cells and also have more potential divisions. They also secrete and contain a more potent and regenerative profile of growth factors. The fitness of adult mesenchymal stem cells, as well as the growth factors they secrete, declines with age. Therefore, birth tissue derived allograft will have greater fitness than adult mesenchymal stem cells due to the higher concentration of growth factors and the younger and more fit cells. Due to the screening process and probability, the allograft is less likely to contain any genetic or epigenetic defects present in the patient’s tissues. Its easy. Schedule a consult to ensure this is a good fit for your needs. Set a date..it takes less than 30 minutes. Back to life or work same day!! Research into stem cells is an important avenue of medical research that has a wide variety of practical applications. It has uses in negating the effects of aging, in helping the body regenerate from injury, and in helping physicians screen out patients for genetic abnormalities and conditions. This branch of medicine is still in its nascent stages, despite having a modern origin that dates back to the beginning of the last century. One of the first modern realizations that stem cells existed came from the research of Russian academic Alexander Maximow in 1909. During that year, Maximow postulated that the blood cells of the body had a deep relation with other cells of the body, and in fact, originated from an ancestor cell that forms connective tissues and the endothelium that forms the outer layer of blood vessels and certain blood-related organs like the heart as well. Maximow’s discoveries provided a framework that established that certain cells had the ability to differentiate into other types of cells through pluripotency. When a cell is pluripotent, it has the ability to give rise to any other types of cell. Later in 1953, Leroy Stevens, who was a scientist in Maine, discovered that scrotal tumors in mice called teratomas were developing various kinds of pluripotent tissues, which gave rise to the understanding that certain cells, not just the ones in blood, could differentiate in a myriad of ways. As time has progressed, it’s become clear that working with pluripotent and the more specialized multipotent cells can make a big difference in the field of modern medicine. As a result, an increasing amount of research has been done in the field of stem cells. In fact, in 2001, former President George W. Bush signed an order that authorized the usage of federal funds for research into stem cells. Following this, in 2009, President Barack Obama signed an executive order, number 13505, which repealed some of the research embargoes that were placed on research in this field of science. It’s become very obvious that there are a lot of amazing healing possibilities in the realm of research into stem cells. Still, there have been many questions about what stem cells can do for the average person, which is why this paper was created to answer some of the most frequently asked questions. Stem cells are pluripotent or multipotent cells that have the ability to differentiate into a myriad of cell types found in research. Typically, these cells are most readily available during the earliest life stages and during growth. Pluripotent cells are unspecialized so that they can become whatever type of cell is needed. They also have the ability to consistently renew themselves via cell division, even after there has been no recordable activity for a long period of time. The biggest point of differentiation between the body’s normal cells and stem cells is that there is no specific specialization for a stem cell. Also, when exposed to external stimuli like physiological processes and when under experimental conditions, the stem cells can become a variety of other bodily cells. These can be organ-specific or blood cells, which means that they can replace cells in the pancreas, the lungs, the heart, or the liver. Embryonic Stem Cells: These, as might be expected, are derived from embryos. These types of stem cells can be harvested from the period when the mass of cells that form the embryo hasn’t yet differentiated into various cell types. At about five days of development, the external cells of the embryo form the trophectoderm or the placental tissue. Underneath the placenta lies the inner cell mass (ICM) that develops into all of the organs of the body. Unfortunately, these are quickly used up during this stage of development. These cells are pluripotent and are able to grow into the three main bodily germ layers, the ectoderm, endoderm, and mesoderm. This means that they have the capability of forming more than 200 different types of tissues. To elicit this change, there has to be specific chemical signals, but once activated, these cells can replicate indefinitely. In fact, embryonic stem cells are the only type of stem cells that are fully pluripotent; most adult stem cells can only differentiate into a limited amount of tissue types, which makes them multipotent. Unfortunately, in order to harvest embryonic stem cells, the originating embryo must be destroyed. This creates moral and ethical issues that have caused a hotbed of debate around the globe. Mesenchymal Stem Cells: These are adult somatic multipotent stem cells that can form several tissue types. These include osteocytes (bone cells), myocytes (muscle cells), chondrocytes (cartilage cells), and adipocytes (fat cells). These are harvested from placental material, umbilical material, cord blood, adipose tissue, or bone marrow. Induced Pluripotent Stem Cells: Fortunately, embryonic stem cells aren’t the only source of pluripotent cells. In 2006, Kyoto scientist Shinya Yamanaka discovered that when four genes are introduced into multipotent adult stem cells, they become pluripotent stem cells. Like embryonic stem cells, induced pluripotent stem cells (iPSCs) can replicate indefinitely and can be made to produce any of the main bodily germ layers, the ectoderm, endoderm, and mesoderm. Since these cells can be harvested from a specific patient, it’s possible that tissues can be made that match a specific patient’s need. For example, if a patient has the potential to react negatively to a course of treatment or a drug, then before the drug is administered, iPSCs can be utilized to create tissues that can be used in testing without exposing the patient to risk. Tissue-Specific Stem Cells: These cells are the adult somatic stem cells that can be found inside the “stem cell niche” of a particular organ. These cells are multipotent by nature and are derived directly from sources like the brain, peripheral blood, skeletal muscle, teeth, the heart, the gut, or the liver. These stem cells typically remain quiescent, which means that they are in a dormant, non-dividing state until needed for tissue regeneration. While scientists have traditionally worked with either embryonic (typically animal-based) and adult somatic cells, the development in 2009 of a means to make multipotent cells pluripotent has opened up new possibilities for research into stem cells. Now with HUCT and High Potency getting such high Stem Cell Reviews, the face of medicine is about to change! Stem cells are relatively simple. They are fully undifferentiated cells that have the ability to become differentiated so that they can be used in various bodily systems. Diseases kill because of the body’s inability to fight off infection as a result of a compromised immune system or the body’s inability to form countermeasures when infection does occur. In every situation, diseases start on the cellular level first, killing the organs at their smallest point and spreading until systemic damage is the result. A good example of this would be heart failure. Heart failure is typically a result of heart disease, which is when the muscle in the heart dies. When this happens, the heart cannot adequately pump blood to the other organs, which can cause a cascading effect throughout the patient’s body. This is a fairly common disease; in fact, it’s estimated that 5.8 million Americans have heart failure. With induced Pluripotent stem cells (iPSCs), tissue can be harvested from the patient, chemically induced to become heart tissue, which can then be used to replace the damaged muscle material in the patient’s heart. While this might seem like science fiction, cardiomyocytes (heart cells) have been successfully created inside a Petri dish. When a thin layer of heart tissue has formed, the combined cardiomyocytes will actually beat rhythmically like a full-blown heart. With stem cells, tissues that don’t regenerate can be replaced with fresh tissues. In fact, embryonic stem cells can be differentiated into 220 different cell types. Additionally, these cells can replicate endlessly as well as revitalize themselves, which means that if used properly, stem cells can replenish any damaged organ. These include the neurons in motor neuron disease or the cells that produce the neurotransmitter dopamine, which is inhibited by Parkinson’s disease. Pluripotent: Pluripotent stem cells have no limit when it comes to specialization. Typically, embryonic stem cells primarily fall into this category, but with the development of iPSCs, adult cells can be induced into becoming pluripotent as well. In any situation, pluripotent cells have a lot of potential for healing damaged organs or even testing the results of certain procedures on harvested bodily tissue. Multipotent: Somatic, or adult, stem cells can be harvested from infants or adults; the adult in this name merely refers to the fact that these cells are multipotent, which means that they cannot be used for every type of bodily tissue. Multipotent stem cells will form specific cell types when exposed to certain chemical or physiological stimuli. For example, while cord blood and placental harvested stem cells may come from an infant, they are in fact multipotent rather than pluripotent. 3) How are the labs that process stem cells regulated by the FDA? When it comes to research into stem cells, the federal government has rulings that ensure that ethical guidelines are being followed in every lab that works in this branch of regenerative medicine. As a result of a 1973 ruling by the Department of Health, Education, and Welfare, which became the Department of Health and Human Services, there is currently a moratorium on experimentation on live human embryos. Over time, both George H.W Bush and his son, George W. Bush, actively fought to keep this ban in place. It wasn’t until 2009 that President Barack Obama lifted the ban to a degree. Now, scientists are able to harvest lines of stem cells from embryos produced via in-vitro fertilization procedures. These cell lines are identical stem cells gathered from embryos that can be grown and reproduced indefinitely. As a result, there are several eligible lines that meet the National Institutes of Health (NIH) Human Embryonic Cell Registry guidelines. To become eligible for this registry, the lines of stem cells must meet NIH’s ethical guidelines. In addition, for experimentation, grant applications must prove without a shadow of a doubt that the embryos were “donated by individuals who sought reproductive treatment and who gave voluntary written consent for the human embryos to be used for research purposes.” Additionally, the embryonic stem cells that have been harvested must not have originated from a fertilized egg from a woman’s body. The FDA’s regulations are very important, especially considering the recent boom that is being experienced in clinics that specialize in this type of therapy. Unfortunately, some clinics market unproven procedures, so the FDA is always hard-pressed to produce regulations that will protect the consumer and ensure that there are no moral issues. In December 2016, Robert Califf, who serves as the commissioner of the FDA, stated that regulation was needed to ensure that therapies that use stem cells are as safe and effective as the hype suggested. Despite this, and as a result of the 21st Century Cures Act, the FDA now has the authority to grant approval for regenerative procedures and medicines at an accelerated rate. The current crop of regulations from the FDA is designed to ensure that the use of stem cells is safe and effective. Umbilical cord blood that is intended for harvesting for stem cells must first be approved by the birth mother. The FDA regulates the usage of cord blood; as a result, cord blood banks are subject to stringent regulatory requirements. Other types of harvested stem cells must also meet the FDA’s regulations. Other products generated from this type of research must be reviewed by the FDA, even if these products are being used in investigational studies. It must be shown how the product will be manufactured so that the FDA can confirm that all of the proper best practices have been met insofar as safety, purity, and potency. 4) How do therapies that use stem cells work and how do they travel? In many cases, stem cell-based therapy procedures can actually occur on the same day. To start, the stem cells are harvested and re-injected into the body within a few hours of collection. The full protocol for these types of injections usually entails several treatments over the course of a week for most patients. Let’s take a look at a few methods that are used to execute these types of therapies as well as how these regenerative cells travel to the areas that are being treated. Umbilical Cord: This method uses human umbilical cell tissue (HUCT) “MOST POPULAR IN TODAYS WORLD” and uses a high potency shot to deliver stem cells to the trouble areas. This method is valuable because the concentration of stem cells within the cord blood and in the placenta deliver a higher level of overall potency. Despite having an origin that comes from tissues from newborns, these types of stem cells are considered adult stem cells. Once harvested from these tissues, these mesenchymal stem cells are sent to a lab and are separated and expanded into greater numbers. These cells are less mature than the cells that come from adipose or marrow, and are thusly not recognized as foreign by the body’s defenses. As a result, these cells are not rejected by the body, even if they haven’t been harvested from the patient’s systems. As a result, these are often considered more potent because they differentiate and proliferate within the body with relative ease and can help damaged tissue regenerate quickly. Scientist have recently discovered the holy grail of what seems to provide higher quality of success with what is know as Amniotic Tissue Allograft. This is when they harvest from the cod tisse, the cord blood and the placenta all at the same tim providing whats appears to be close to 6 times the potency. (HUCT6) or High Potency Stem Shots! Adipose: Adipose, or fat tissue, is a rich source of these types of cells. Some of the primary stem cells that are most versatile are mesenchymal cells; these are the ones that make new bone, fat, and cartilage. Of all of the potential mesenchymal cells, researchers agree that adipose tissue is the most plentiful. Extraction of adipose tissue is actually fairly easy and straight forward; the physician makes an incision along the side of the patient’s torso. Once incised, a cannula is used to break up the fat that rests directly under the skin. This is a relatively vigorous process. Next, a syringe is used to collect the cells, which are then added to a centrifuge that then breaks down the fat. During the centrifuge process, cytokines and stem cells are separated out from the adipose tissue. The resulting material is then filtered, washed, and placed into an IV where it is soon injected into the patient’s body. While injection location can affect the direct healing, the value of stem cells is that they react to chemical changes within the body’s tissues; this means that they will respond to injury and regenerate the damaged tissues. This was once the standard, but extraction site infection and pain, combined with the need for more visits and a long wait time make these less and less popular with clients and providers. Marrow: Sometimes, a procedure called bone marrow aspiration is used to gather stem cells directly from your hip bone. Unlike bone marrow biopsy, the process of bone marrow aspiration is relatively painless once the physician has numbed the area. Once the sample bone marrow has been gathered, the cells are then sent to a lab where they are processed. Typically, the lab time is very short. Once the marrow cells have been processed via centrifuge and treated with natural growth factors that promote cellular regeneration and reproduction, the doctor will then use fluoroscopy or musculoskeletal ultrasound to select an injection site. This allows the doctor to plan the cell dispersion location so that the optimal regenerative process can be achieved. This version of the process delivers a heightened amount of stem cells to the selected area of the body; in fact, much more than would be delivered naturally. The result is heightened healing of the tissues in the affected area. All three methodologies of gathering and injection provide many benefits. Adipose and HUCT tissue can provide the largest volume of stem cells, while marrow tends to provide both the adult stem cells as well as important growth factors that promote regeneration. 5) Are there Knee surgery alternatives using stem cells? These types of knee repair procedures have had a fairly successful outcome ratio; with athletes and those suffering from bone and cartilage debilitative disorders often professing the value of stem cells in this area. In fact, in some situations, when stem cells are utilized for the repair of knee injury, complex procedures like joint replacement and anthroscopic knee surgery can be avoided. That being said, stem cells cannot serve as a panacea for all knee injuries, but when it comes to the aforementioned knee conditions, stem cells do hold a lot of promise. When a patient is first experiencing the early stages of knee conditions like osteoarthritis, knee stability can become a major problem. This instability is usually a result of accumulated abnormal mechanical stress in the area, which makes the joint weak. When there is instability, the gait is often affected and abnormal joint movement can actually cause the breakdown of cartilage in the area. Fortunately, when mesenchymal stem cells and platelet concentrates, which are known as PRP, are used, much of this early instability is greatly reduced. Typically, when the knee is damaged, a physician will prescribe anti-inflammatory and pain reducing medications in order to reduce the discomfort of a knee condition. Unfortunately, these tend to not last long enough to adequately make the patient more comfortable. Mesenchymal stem cells and PRP, on the other hand, restore the knee tissues, which can greatly reduce the pain and discomfort while the knee heals. Simply put, stem cells have a tendency to improve the condition of chondrocytes, or cartilage tissues. Mesenchymal stem cells are typically derived from fat and are considered multipotent, which means that they can help bone, cartilage, and fat tissues regenerate. As a result, when mesenchymal cells are injected into cartilage that’s been damaged by conditions like arthritis or osteoarthritis, the cartilage will improve. This result is known as bio-resurfacing. With standard knee surgery, many times the patient will have to rehabilitate and visit the hospital or clinic frequently. With the use of stem cells, there’s no need for hospitalization or surgery at all. 6) Is the injection of stem cells in the shoulders an effective treatment? The shoulder and the rotator cuff are parts of the body that are prone to injury, especially if the patient plays sports. The traditional solution to these types of injuries is surgical repair. Unfortunately, despite surgical advances, the tendon-to-bone healing rate is often not perfect; this results in reduced performance at the shoulder and potential long recovery times. This is a result of the difference in stiffness between the tissue of the tendon and bone, which is a major reason why the biomechanics of the area are so complex. One of the primary advantages of therapies that repair damage using stem cells is that these cells can simply be injected into the affected area. This means that there is less recovery time for the patient and a greater restoration of joint, tendon, and muscle function. As a result, there’s less stress since the patient doesn’t have to go under the knife and the injections can be delivered within hours of the harvesting of the mesenchymal stem cells. As a result of the difference in stiffness in the tendon-to-bone interface, regeneration after surgery is often made difficult. The transitional tissue, which is known as enthesis, has four different zones that have different structural make-ups that can heal unevenly. Also, when the enthesis is damaged by either age or accident, it oftentimes doesn’t heal properly. With mesenchymal stem cells, this bone-to-tendon interface can actually heal properly. One of the best features of mesenchymal stem cells is their ability to repair the underlying chondrocytes, or cartilage tissues. This provides a way for patients that have suffered damage in the fibrocartilage of the shoulder to regenerate without the need to go under the knife. Since the area is regenerating due to the injection of stem cells, the tissues, which have been damaged and inflamed, are repairing themselves. This results in a much longer term reduction of pain versus what is capable with just anti-inflammatory medications and painkillers. This reduced pain will effectively reduce the stress of the injury for the patient. 7) How do therapies that use stem cells for hip joints work? According to government statistics released in 2015, the number of hip replacements has skyrocketed in the United States. Typically seen as a quality of life procedure, the hip replacement has proven to be a cost effective procedure that has been used for older and younger patients alike. Research Advancements in the procedure made in the last decade have resulted in more durable hip constructions and less limitation by arthritis. That being said, even with normal use and activity, the materials that are used between the head and socket of the replacement implant will start to wear gradually, which is why high-impact activities after surgery are often not recommended by physicians. Currently, the most common reason for hip pain and eventual replacement is arthritis, but with the use of mesenchymal stem cells, hip replacement surgery may soon become obsolete. With the ability to grow cartilage using mesenchymal stem cells, it’s possible to grow chondrocytes into new cartilaginous hip structures that can also release anti-inflammatory molecules, which can actively prevent arthritis from returning. Since the repaired hip material is created inside the patient’s body, there’s no chance of problems with the hip as a result of wear and tear. Hip implants can loosen around the new joint in the socket, which is usually a result of gradual deterioration. New material grown through the use of stem cells is inherently stable so that the patient won’t have to potentially deal with the pain of a damaged implant. Standard hip procedures invariably involve going under the knife. For some patients, this is a major point of stress, and one of the chief advantages of this type of procedure is its ability to be done fairly quickly and without the need for surgery. Cells are harvested from umbilical tissue, taken to the lab for processing, and mesenchymal cells are produced and injected into the hip labrum where healing will begin. Rehabilitation after a hip surgery is often difficult because of the nature of the hip’s structure. With the regeneration that stem cells can provide, the painful rehabilitation periods that follow hip surgery for strength restoration is simply not needed. When implants are used, there’s always a chance of infection or the formation of blood clots. With the usage of mesenchymal stem cells, this risk is significantly reduced due to the fact that these types of therapies are restorative not a full replacement. 8) Can stem cells be used for disc regeneration? With age, the discs in the spine can degenerate painfully. This can be something that occurs as a result of genetics or due to injury or trauma that was experienced earlier in life. This is called degenerative disc disease (DDD). As a result of DDD, you may notice a reduction in your ability to go about daily activities. When this type degeneration occurs, you may also feel muscle spasms, pain, and difficulty sitting comfortably. The actual disc of the spine is the softer tissue that rests between the vertebrae and when this area has fully degenerated, symptoms can actually subside in some cases. It can require long hospital stays. It can cause excruciating pain due to incisions around the spine. Fusing the bone morsels where the degenerated discs were can take up to two years, which means significant lifestyle changes. The mechanics of the back will be significantly and permanently changed due to spinal fusion. With this condition, any of the spinal discs can be affected, which can lead to some fairly extreme discomfort, especially considering that this area is where the majority of the body’s weight absorption and distribution occurs. Discs damaged by gradual wear and tear caused by aging cannot repair themselves very well. This is due to the fact that these discs have a very limited blood supply. Fortunately, mesenchymal stem cells can actually be injected in order to promote healing in the damaged disc. These cells can cause regeneration inside the fibrous connective tissue of the discs, which means that the effects of DDD can be effectively halted since the chondrocytes will be repaired. One of the primary drawbacks of discs that have been degenerating is the fact that the vertebrae can rub against each other painfully. This can adversely affect quality of life and lead to difficult movement in the neck and back. Additionally, many of the procedures associated with relieving disc degeneration pain are often ineffective. Stem cells, on the other hand, can actually reverse bulging disc degeneration, effectively addressing the root of the spinal pain. This almost completely precludes the need for anti-inflammatory medicine and painkillers. Spinal fusion via the solidification of bone morsels is the most popular method of dealing with discs that have painfully started to degenerate. This process is difficult on the patient, will require extensive adaptation, and is permanent. Add to this the fact that full fusion can take up to two years, and surgery seems like a pointless option. Stem cells, on the other hand, actually regrow the materials of the spinal discs that have been degenerating. This includes cartilage and the softer tissues that have been damaged by the disease. 9) Can the injection of stem cells help with the injury of the knee meniscus? With more than half a million new tears happening in the United States alone, one of the most common knee injuries is a torn meniscus. This injury is caused by forcefully twisting you knee while also putting the body’s weight on it. The menisci, which are C-shaped cartilaginous structures that cushion the knee, can tear relatively easy. When you’re experiencing a torn meniscus, pain, stiffness, and swelling are often the primary symptoms. While this condition is sometimes relieved with time, medication, and ice, sometimes a torn meniscus will require surgery. For the most part, a meniscus tear occurs during periods of activity, such as playing sports. That being said, it’s very possible to tear a meniscus cartilage by simply getting up too quickly from a squatting position. In order to diagnose a meniscus tear, a physician will potentially run a knee X-ray, a MRI, or will use anthroscopy. Standard treatment can include wraps, compresses, and elevation, and usually a meniscal tear will take between one and three months to heal fully. If treatment isn’t helping the knee to recover, then surgery is an option. While in many cases a patient can go home the same day, recovery will take time and physical therapy. In the situation of a surgery, recovery from a meniscal tear will usually take around six weeks. During this period, the knee will most likely be in pain and surgery typically involves removing a portion of the meniscus. Also, after the anthroscopic resection of the meniscus, the early onset of osteoarthritis is often a result. Fortunately, the meniscus is a cartilaginous structure, which means that mesenchymal stem cells can be used to illicit repairs on that area of the knee. During a recent study, it’s been shown that mesenchymal stem cells can regrow as much as 20 percent of the torn section of the meniscus. This even covers meniscus material that has been removed as a result of surgery. In fact, the administration of stem cells to the damaged meniscus requires no surgery, those that have undergone this type of therapy have reported less pain and there is also no associated rehabilitation since there is no need for surgery. Also, this type of procedure can help a patient avoid the knee degeneration that typically results from a meniscus surgery. This is particularly useful for athletes that have undergone this type of surgery and want to return to peak or near-peak condition. The meniscus serves as a shock absorber for the knees, and reducing the amount of this material means that there is less protection, so applying stem cells to the knee is a great solution for most patients that helps them avoid further structural degeneration in that area. 10) Can the transplantation of stem cells be used for all knee cartilage? Cartilage loss in the knee is a complex condition that can cause many issues or can be almost completely painless for some patients. While it is often believed that cartilage loss is a primary source of pain for those with osteoarthritis, in actuality, it’s things like nerves around the joint becoming sensitized to pain signals, the presence of microscopic fractures in the joint, or chemicals in the joint that cause swelling. Despite this, stem cells produced from umbilical tissue can help relieve damage caused by osteoarthritic knees that have undergone cartilage loss. Cartilage in the knees provides support so that the knee structure is stable. The cartilage ensures that the ligaments that hold the structure together are doing their job properly, which means that with good cartilage, toxic chemicals won’t build up and the nerves won’t undergo the damage that can cause pain. There are several cartilaginous structures within the knee, including the menisci, which are the most common torn cartilage; the trochlear groove cartilage, which rests underneath the kneecap; and the articular cartilage, which rests on the back of the patella. Each of these cartilage structures can be affected by arthritis and osteoarthritis and normal wear and tear. One of the chief benefits of treatments that use mesenchymal umbilical-derived stem cells is the ability of these cells to form some of the cartilaginous structures under the guidance of physicians. Doctors only need to program the harvested stem cells to grow new cartilage on a template that is shaped like the knee’s structures. This template can be made of a 3-D biodegradable scaffold that is able to withstand the weight of exercise. Using gene therapy, physicians can even ensure that the new cartilage material can release anti-inflammatory molecules so that conditions like arthritis are actively prevented. While this type of transplant will require some surgery, the body will adjust to the newly grown cartilage as if it was made in the body itself; and as a result, recovery and rehabilitation will be much shorter. The fresh cartilage is stronger than standard implants and will have the ability to actively fight off the inflammatory molecules that can cause arthritis. 11) How can treatments using Stem cells alleviate back pain? Back pain is one of the most common reasons for missed work; in fact, 31 million Americans experience lower back pain, and as a result, it’s the leading cause of disability. Lower back pain is often caused by problems in the discs that separate the vertebrae. This condition, which is also called discogenic lower back pain or disc degeneration, can actually lead to a loss of back function. Mesenchymal stem cells have shown an amazing ability to effectively repair the damage caused by discogenic lower back pain. First, since these stem cells are multipotent and are excellent for forming differentiated tissue structures like bone, cartilage, and tendons as well as repairing these unique tissues, they have a lot of use for patients that are suffering from lower back pain issues. In fact, these stem cells can act locally and accomplish many functions such as the ability to form osteoblasts and chrondroblasts and the ability to serve as a natural anti-inflammatory and immune booster. When using human umbilical cord tissue-derived mesenchymal stem cells (HUC-MSCs), the chief benefit is that these particular cells have a low immunogenicity, which means that these forms of stem cells won’t promote an immune response that will cause the body to reject the injected material. This means that allogeneic or genetically dissimilar stem cells can be used for the repair of the damaged areas. The chief advantage of this type of procedure is that it takes very little time; unlike procedures that derive mesenchymal stem cells from marrow or adipose tissue, HUC-MSCs are readily available and don’t need to be harvested from the patient. As a result, the stem cells can be injected into the patient’s back by physicians, which will result in a therapeutic procedure that will only take a few hours at maximum and will require very little sedation. 12) Can stem shots aid those suffering from mental and neurological conditions? Although we do not treat all of these conditions, we may be abel to refer you to a provider who does. One of the more cutting-edge used of the regenerative medicine of stem cells is its ability to be used to help patients recover from mental and neurological disabilities. Many mental and neurological conditions are almost completely untreatable due to the nature of the brain and its neurological structures, but when mesenchymal cells are used to actually repair the damage that can result in these conditions, the stem cells start to really show their health value. Bipolar Disorder: Those that suffer from bipolar disorder often experience manic highs and lows that are filled with depression. Amazingly, this condition seems to run in families and is often difficult to find an effective treatment for. In 2014, a University of Michigan Medical School study used harvested stem cells to create functional neurons that had bipolar disorder. As a result of this, they were able to compare neurons from people with the disorder to people without, which provided a unique window into the condition. With this information, more effective lines of drugs can be prescribed that can help people with the condition. Patient-specific treatment regimens can also be gleaned from this type of harvesting of stem cells. Mental Retardation: For those suffering from mental retardation, therapies that utilize stem cells are providing some promising results. For this type of procedure, the administration of stem cells is combined with rehabilitation. When injecting mesenchymal stem cells, the goal is to repair some of the brain structures that may be responsible for the mental retardation. As a result of the usage of stem cells, neural pathways are repaired and there is a reduction of inflammation that may be present within the brain. In the patients that have undergone this type of therapy, there have been some very promising results. Schizophrenia: The chief cause of schizophrenia on a biochemical level is the impairment of the interneurons of the brain which inhibit activity within several regions of the brain. As a result, the dopamine system oftentimes shifts into high gear, and when the dopamine system goes into overdrive, emotions, movement, and cognition can be significantly hampered. In clinical tests, after injecting stem cells into the hippocampus of test subjects caused the regeneration of interneurons and restored dopamine function, which effectively could curtail the effects of schizophrenia. Parkinson’s Disease: As the second most common neurodegenerative disease, Parkinson’s is a condition that affects more than 10 million people worldwide. Parkinson’s is caused by low and falling levels of dopamine. In fact, neurons that generate dopamine, which are called dopaminergic neurons start to die off in a patient with the condition. When using mesenchymal stem cells that have been harvested from umbilical and cord blood, new dopamine producing cells can be created and new tissues that are formed in lab environments can be used to safely screen medications for the condition as well. The chief benefit of these cells in this situation is the replacement of dopamine neurons; in fact, as of last year, clinical human trials have already begun. Arthritis is the painful inflammation and stiffness of the joints. What is seldom understood is that the term “arthritis” actually covers a variety of conditions. This is because arthritis actually is a catch-all term for joint pain or joint disease. In fact, there are more than 100 different conditions that fall under the umbrella of the condition that many people know as arthritis. As a result, this is a leading cause of disability in the world. Rheumatoid: Also known as RA, rheumatoid arthritis is a condition where the body attacks the joint lining causing painful inflammation. This results in swelling, fever, fatigue, and stiffness, and RA is typically characterized by periods of flare ups and remissions. Psoriatic: This form of arthritis is very similar to RA, except that the inflamed skin and joints can actually cause scaly patches on the skin called plaques. Psoriatic arthritis is also characterized by swelling, pain in the joints, and stiffness. Over time, both of these forms of inflammatory arthritis can cause permanent joint damage. In fact, it’s estimated that in the first two years, almost 50 percent of patients will have developed joint damage as a result of psoriatic and rheumatoid arthritis. Fortunately, mesenchymal stem cells that have been derived from umbilical tissue can provide relief for arthritis sufferers and completely preclude the need for invasive surgery. Mesenchymal stem cells can quickly react and home into inflamed tissues. Once at the inflammation, the cells will jumpstart the production of anti-inflammatory agents. Unlike traditional treatments for inflammatory arthritis, which typically use immune suppression agents like steroids or infliximab, mesenchymal stem cells bolster the immune system so that the inflammation immune response is ceased. This is a favorable outcome because the immune system will maintain the ability to fight off disease. As the most common form of arthritis, osteoarthritis is also one of the most painful as well. Osteoarthritis is caused by the degeneration of the cartilage that cushions the bone surface. This is typically caused by the wear and tear that can happen as we age. Without this shock absorbing and cushioning layer, microscopic holes form in the bones, painful wear happens, and toxic chemicals are released that can cause inflammation, stiffness, and swelling. Mesenchymal stem cells fortunately have the ability to actually cause regeneration in chondrocytes, which are the tissue type that cartilage is made of. In osteoarthritis therapy, stem cells are introduced to the cartilage, where regeneration will begin. Also, since mesenchymal stem cells are natural anti-inflammatories, the pain associated with osteoarthritis will decrease as well. 14) How can mesenchymal stem cells reduce Inflammation? In many cases, inflammation is the body’s response to infection. In fact, the ability of specific body parts to increase internal temperature and become inflamed is responsible for the body’s ability to heal from injury, for it to defend against diseases, and halt infection. In fact, without inflammation, wounds would fester and simple infections could lead to fatal results. For example, when you bruise a body part, that body part will swell, heat up, and become stiffer. This is because the body is releasing proteins known as cytokines into the area. These cytokines have the ability to bring immune cells to the affected area, where nutrients and hormones are applied that aid in the healing process. For the purposes of healing there are both inflammatory cytokines and anti-inflammatory cytokines. All this being said, not all inflammation is helpful; in fact, when the autoimmune system is out of sorts, inflammation can be used to attack the body rather than aid in its healing. When this happens, inflammatory cytokines can run rampant, causing pain, stiffness, swelling, and overall discomfort, even when the body hasn’t been injured or is fighting off infection. This is where mesenchymal cells come in. For the majority of stem cells, the chief benefit is that these cells can replace the damaged tissue by differentiating into the target cell type. Mesenchymal cells, on the other hand, actually can heal damaged tissue and reduce inflammation. In fact, these cells can actually prevent overactive immune responses in tissue so that the target tissue has reduced inflammation. Additionally, this bolstering effect can also help the tissue simultaneously fight off microbial infections as well. These cells are able to act this way because they are immunoregulatory cells. These cells can directly control the inflammation at the target site, which makes mesenchymal stem cells much more effective at managing these conditions than drugs that are designed to suppress the immune response. Additionally, the patient’s immune system can continue to work effectively at fighting off future infections while the healing process is happening. These types of cells can simply be injected and they will immediately start to repair the inflamed tissue. It’s important to consider that drugs used to reduce inflammation can take time to do their job and oftentimes, there will be points where the drugs will have almost no effect. 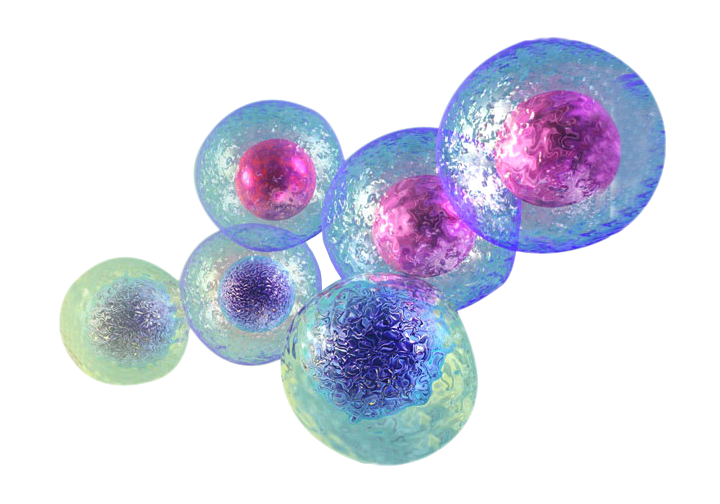 These types of stem cells will actually repair the causes of inflammation, which is of great advantage to the patient. 15) How can the use of stem cells benefit those with ACL injuries? The knee joint is one of the most stress-bearing points of the body and one of the most common knee injuries is a tear of the anterior cruciate ligament. The ACL rests within the structure of the knee and connects the bones together. When the ACL tears due to activity, recovery has traditionally been a long and arduous process. Typically, a sudden twist or jerky movement will simply be too much for the tendon, causing it to snap. A loud pop may emanate from the knee and swelling and pain will begin. In most situations, sufferers of ACL tears will find that the knee that has been injured will no longer be capable of weight-bearing. Recovery from an ACL tear has traditionally taken a long time. After surgery, a patient can expect to return to a pre-injury state of range of motion within six to nine months. During this period, rehabilitation practices and a wide variety of painkillers and anti-inflammatory drugs are needed for the patient to return to a pre-injury state. With developments in the usage of stem cells, patients no longer need to undergo surgery to heal their torn ACL. Mesenchymal stem cells can actually regrow the portion of the ACL that has been torn and also will reduce the painful inflammation that can occur as the result of a tear. In addition to this, recovery from a torn ACL takes only six to 12 weeks when using therapies that utilize stem cells. ACL tears where the ligament has been ripped in two cannot be healed via this type of therapy currently, but in situations where the tear is partial full healing of the ACL is often the result. One of the major issues with surgical solutions for the ACL is that the graft used to repair the ligament goes in at a steeper angle. As a result, the cartilage of the knee is compressed, which can cause the patient to experience arthritis at an early age. Since the damaged ligament is effectively regrown when mesenchymal stem cells are used, this extra compression of the knee’s cartilage doesn’t happen at all. This allows for the complete recovery of the knee. During this healing period, patients can wear a special ACL brace to help prevent translational forces from damaging the ligament further. 16) I’ve injured my Supraspinatus tendon. Can stem cells help in my recovery? As a part of the rotator cuff, a tear in the supraspinatus tendon is often very painful and can take months of rehabilitation in order to experience a semblance of pre-injury functionality. The chance to experience this type of injury increases with age and level of activity and some injuries (about 50 percent) can heal effectively without the need for surgery. Even when surgery isn’t used, those that suffer this type of injury will often experience inflammation, cortisone injections, and months of rigorous physical therapy. Unfortunately, while that is considered the easier treatment options for a torn supraspinatus tendon, sometimes surgery is the only option. When there is significant weakness in the tendon, loss of function, and movement of the joint becomes limited, surgery is indicated. This type of surgery can be risky because nerve damage, infection, and excessive bleeding can occur. Additionally, the recovery and rehabilitation process for a damaged supraspinatus can take up to six months. Like most other procedures of the type, repair of the supraspinatus or rotator cuff using stem cells usually is done as an outpatient procedure. Once cells are ready to be used, they are injected into the injured area and the body’s natural healing process is bolstered. Mesenchymal stem cells naturally reduce the inflammation caused by damage to this tendon. The healing process is better managed by the stem cells because these cells actively can prevent the scarring that can occur as a result of supraspinatus surgery. This is because stem cells have a tendency to police themselves through gene-expression, which will reduce the stiffness caused by scar tissue. Tenocytes, which are the cell type that makes up tendon tissue can be easily produced through mesenchymal stem cells. When these types of cells are used, there is near-seamless regrowth pattern on the supraspinatus. There is significantly less recovery time and also far less need for rehabilitation. In fact, it typically only takes a few weeks to a month of healing time. 17) How Stem cells can be used for heart problems? Although we do not treat all of these conditions, we may be abel to refer you to a provider who does. Heart disease is one of the greatest killers in the country. In fact, in the year 2008, heart disease was responsible for one in every four deaths in the United States. Half of these deaths were in men, which shines a light on the fact that women are very much threatened by this condition as well. As a matter of fact, every minute, approximated one woman dies from heart disease. With such high rates of diagnosis and fatality, it’s not a surprise that new techniques are being sought out to help curtail the deadliness of heart disease and heart problems in general. One of the most promising realms for treatment of this condition comes from the use of mesenchymal stem cells. Mesenchymal cells harvested from umbilical tissue and induced pluripotent stem cells have been used to create cardiomyocytes, which are the base cell type of the heart. Amazingly, when a layer of these cells is created in a Petri dish, the new heart layer will start to rhythmically beat like a heart would. This is because these cells use pacemaker cells to beat. As a result of these developments, researchers have gained more information on how the heart operates; both on a cardiomyocyte level and in the level of the cardiac pacemaker cells, which means new treatments and drugs can be developed to help people with heart problems. One of the most important ways to reduce the yearly deaths that are caused by heart disease is to find a way to actually reverse the damage that this condition does to the heart. With these mesenchymal stem cells, material can be harvested and transplanted directly into the heart where it can be repurposed by the body into functioning heart muscle cells that can be used to repair any systemic damage. This treatment therapy can reduce the need for ventricular assist devices and transplants, which can greatly benefit the quality of life of heart disease sufferers. 18) Can stem cells help people that have been diagnosed with Amyotrophic Lateral Sclerosis (ALS)? Although we do not treat all of these conditions, we may be abel to refer you to a provider who does. Amyotrophic lateral sclerosis or ALS is a neurodegenerative disorder where the person with the disease begins to lose their motor neurons. Also known as Lou-Gehrig’s disease, the patients diagnosed with this often fatal illness will experience muscle atrophy, weakness, and spasms that make it difficult for them to function. The diagnosis often comes with a three to five year life expectancy because there is not currently a cure. However, research using stem cells has given scientists hope. Due to the fact that the stem cells have a remarkable plasticity, they can be used in a form of replacement cell therapy that will effectively regenerate the lost neurons and functionality. Currently, the modulation of these cells can slow down the progression of ALS or even stop its progression altogether. Several different stem cells have been studied to as a treatment for ALS. Neural stem cells have been studied in rats that have ALS, and the results were great for those suffering from ALS. Repairs were made to the spinal cord, and the progression of the disease seemed to be delayed with treatment. In fact, those that were given the treatment actually lived about three times longer than those who did not receive it. NSCs are cells that are very hard to come by because they are derived from the spinal cord or the brain tissue of a fetus, so it is not likely that this will be a large scale solution. Mesenchymal stromal cells seem to be the more promising option. They have the same slowing effect on ALS and they are easier to extract from adult connective tissues and umbilical cord blood. It has been found that injecting these cells into mice has greatly delayed the deterioration from occurring. In fact, it also increased the basic fibroblast growth factor in the spine and helped to improve the motor neurons. MSCs can be a way to anti-inflammatory and immunomodulatory molecules into the patient’s body, which is a promising treatment for ALS sufferers. Since this is an ethical way of obtaining stem cells, it seems like the most likely effective treatment for ALS. 19) How can stem cells assist with the natural process of aging? Biological aging is a process that everyone experiences based on life, reality and research. The reason that a person’s body slows down and begins to deteriorate is that the regenerative cells in the body are slowing down as well. With that being said, it only makes sense that using stem cells to rejuvenate the cells that are already in the body would be a way to slow the aging process a bit. Age management therapies will rejuvenate the cells within the body, but they are also an effective way of helping those who suffer from age related illnesses recover so that their bodies become healthier and stronger with time. Organs in the body with genetic defects and immune issues will be repaired, injured areas will be able to be repaired, and the body’s immune system will be boosted so that microbial infection will have a lessened effect. This form of treatment can repair skin conditions as well. Aging can mean more than the body slowing down; it can mean that a person’s mind, memory, and energy have decreased as well. Therapeutic levels of stem cells used as a form of treatment have been known to improve these symptoms as well as the patient’s mood. Mesenchymal stem cells can be differentiated into neural stem cells via exosomes. The resulting neural cells can help restore the lost cognitive function that comes with aging; in fact, these differentiated stem cells may even be able to reduce the plaque formation and blockages that result in Alzheimer’s disease. Also, during advanced age, bones take longer to illicit the same repairs that a younger patient might experience. With the usage of stem cells, even elderly patients can experience faster healing times than they would without the therapy. As we age, there are several conditions that become more prevalent; the elderly tend to break bones more easily, suffer dislocations during non strenuous exercise, and also have a heightened occurrence of tendon issues like torn rotator cuff injuries. For each of these problems, mesenchymal stem cells offer some solution. One of the most dreaded situations for an elderly person is the higher risk of falling. Hip fractures as a result of falls are a major source of disability for the aged. Hip replacement is a common procedure in the older age group, but the procedure itself has its risks. First, the procedure itself can cause excessive bleeding, infection, or nerve damage in the hip area and also typically has a long rehabilitation process of at least a month. Using mesenchymal stem cells, on the other hand, can lead to a much quicker and less problematic recovery from a broken hip. First, using a scaffold that can be implanted within the broken hip structure can lead to extensive healing. This scaffolding will be implanted with the mesenchymal stem cells that can differentiate into both chrondroblasts and osteoblasts so that the bones and cartilage around the implantation site heals naturally. Additionally, these cells also can reduce the inflammation in the tissues of the hip so that recovery is more comfortable with less scar tissue. Those that undergo some types of stem cell-based therapy in the hip labrum are typically encouraged to try to walk within the same day. 20) Can stem cells be used to better the lives of stroke victims? Although we do not treat all of these conditions, we may be abel to refer you to a provider who does. With over 795,000 individuals suffering from the condition each year, the leading cause of long-term disability in the United States is stroke. In fact, stroke is the third leading cause of death in the country. Like heart disease, researchers are looking to find ways to make stroke less of a killer condition. This means finding ways to help treat those that have undergone stroke. Of all of the potential forms of stroke, ischemic stroke is the most common; it accounts for more than 85 percent of all stroke occurrences. This form of stroke happens when the flow of oxygenated blood to the brain becomes blocked, usually as a result of a blood clot. It’s estimated that out of every three stroke survivors, two will go on to experience a form of disability, which is why therapies that use mesenchymal stem cells to promote recovery after a stroke are working well. During a 2016 study, mesenchymal stem cells were utilized on stroke victims. Of the 18 individuals that were the subjects of the study, several that had been restricted to wheelchairs regained the ability to walk. Mesenchymal stem cells aren’t rejected by the immune system, which means that stroke patients that are undergoing this type of treatment won’t have to undergo the physiological turmoil of tissue rejection. This allows for the harvesting of stem cells from sources like marrow, umbilical or cord blood, or adipose tissue from donors. These stem cells can break up the blood clots that cause the stroke and can also repair the damage caused to the neurons by the stroke itself. As a result, inflammation in the brain is lessened and the patient starts to regain lost function. A recent trial has deemed these types of therapies safe for stroke victims, but using stem cells isn’t a quick restorative process; stroke victims will still have to undergo rehabilitation in order to regain full functionality. 21) How does the Laser guidance system work to make the stem cell delivery more effective? To ensure that your stem cells have the greatest chance of surviving in a harsh biological environment such as a patient with chronic inflammation, toxins and acidic joints, it is imperative to create a “Health Host” so the stem cells that are implanted in your body can repair, regenerate, and replicate in your target joint or tissue. So just as a farmer provides fertile soil, fertilizer, clean water, & sunlight for vegetation and crop seeds to grow to their full potential, the stem cells need Viable cells, Healthy “Milu” or “Medium” , Growth Factors, Alkaline water, & Light (ATP photomodulation). You can think of stem cells as the “seeds” which must be viable so we only use Day Zero Old Cells from a Healthly Live Birth Umbilical Cord Mesenchymal Stem cells. The target joint or tissue in your body that the stem cells will be grafted into can be thought of as the “Soil” which must be in a healthy state for the cells to proliferate. We have a stem cell nutrition protocol to get your joints, organs and tissues healthy & will also clear out dead cells to stimulate more of your endogenous stem cells to activate. The “Growth Factors” can be thought of as fertilizer to stimulate the stem cells to grow faster. These include cytokines such as hylauronic acid, elastin, platelets, collagen, fibronectin, adhesion protein, and hundreds of other scaffolding, homeostatic, and Growth factor cytokines. Finally, You can think of the “Light Emitting Laser Diodes” which through photobiomodulation gives ATP energy & nitric oxide to the Cytochrome C Complex in your Cells Powerhouse (The Mitochondria to stimulate the stem cells to repair, regenerate, and replicate) as compared to the “Sunlight” which through photosynthesis, stimulates the plant life to grow, as well as stimulated Vitamin D3 to grow your bones. Furthermore, we use an Infrared laser thermometer to detect what part of your joint or tissue has the highest amount of inflammation, which we will target with the laser to guide the stem cell injection to goto the area of greatest heat, as stem cells goto the areas of greatest inflammation. As seen in clinical trials, IRB, & other stem cell research studies & anectodal client testimonials, procedures that use stem cells which signal your bodies innate ability to heal itself may help to restore function and improve the overall quality of life are gaining ground in the public consciousness. With the potential ability to help heal conditions like heart disease, stroke, ligament and tendon injuries, and even neurological disorders, stem cells have the ability to make a positive impact on the future of human medicine. With techniques that use Lasers to guide the stem cell-based injections that are derived from human umbilical tissue and other sources becomes more refined every day, it’s clear that modern medicine will benefit from the Laser guided stem cell injection therapies.